So hey guys! 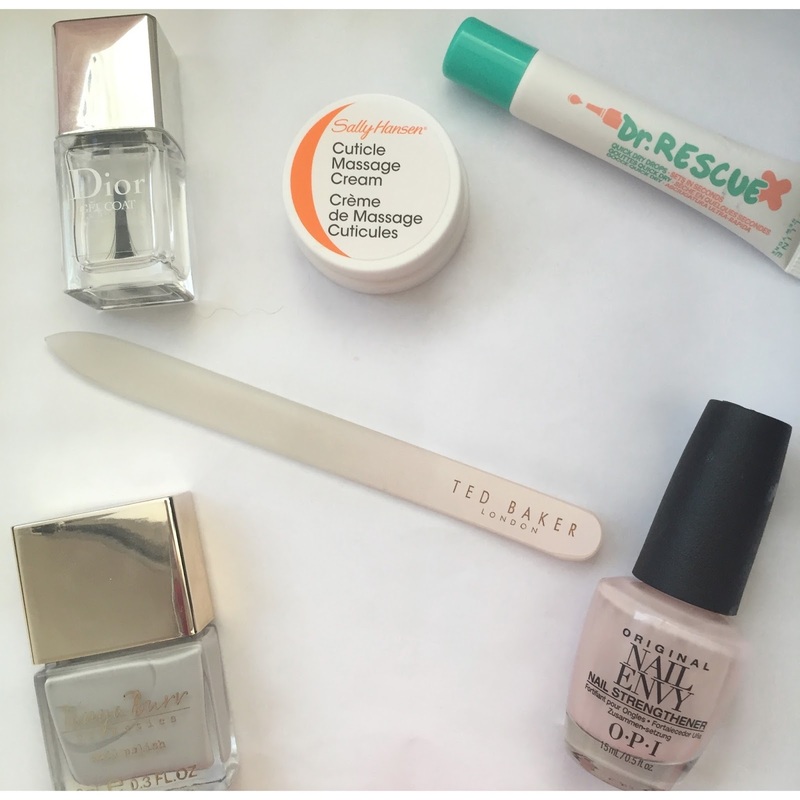 Today I thought I would share my pamper routine! Pampering myself is a key thing in my week. No matter how busy I am I always try dedicate one night to treating myself and having a relaxing pamper! Every week I usually do the same things and this is what I do. I always start my pamper night when I get in the house from school or whatever I've been doing that day the first thing I do is get myself into some cosy clothes, whether that's pyjamas or just a comfy hoodie I make sure I'm comfortable as it's key for me. I always make sure I've taken my makeup off by this point and start watching YouTube! I always get any little bits I need to do of the way so I can fully relax for the rest of the night. 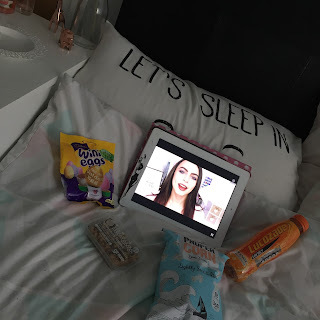 I will go through my subscription box on YouTube and catch up on videos, if I'm caught up I'll watch something on Netflix or catch up on Eastenders and then I get a snack and something to drink whilst I sit on my bed and just chill out. Whilst I'm just in my room I'll light a candle just to make everything feel cosy! If I don't have school the next day I will more than likely have an at home manicure by filing and painting my nails then using cuticle oil just making sure there all pretty for whatever is happening. 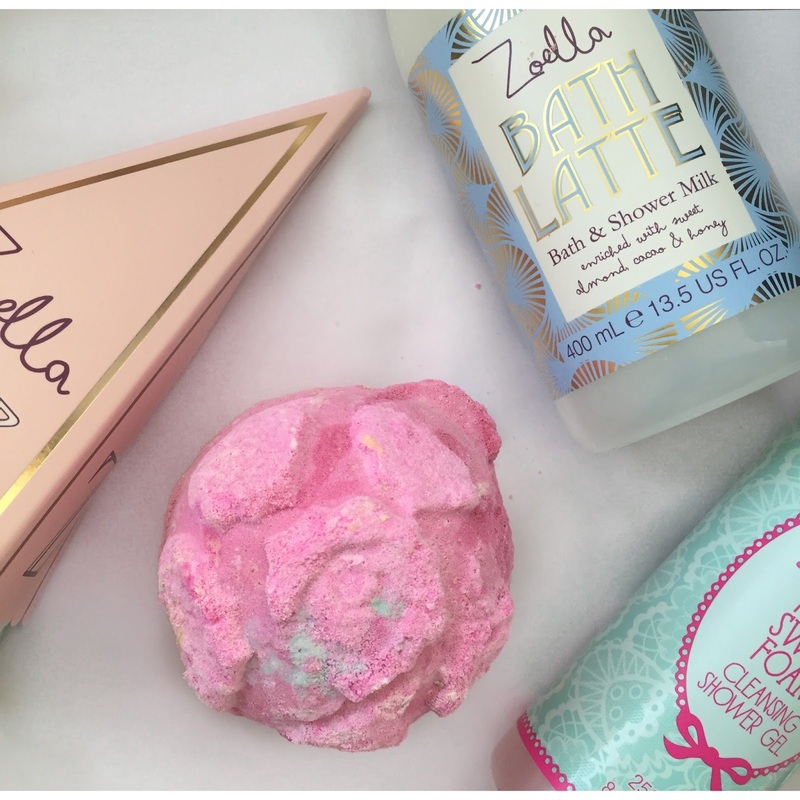 No pamper routine is ever completed without a lush bubbly bath! 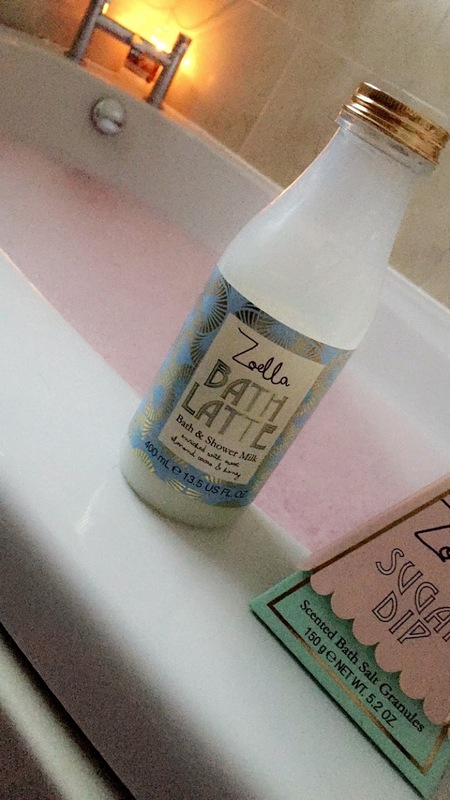 Every pamper routine I will have a bath and use a lush Bath bomb, my bath latte from Zoella beauty and maybe her Bath salts. When I'm in the bath at the moment I'm using my Zoella foam sweet foam shower gel, the lush rose garden bath bomb (it think) and maybe a soak and glory body scrub! Once I've had my bath I'll then use moisturisers! I'll use a body butter, at the moment I'm using my soap and glory righteous butter and then my soap and glory heel genius amazing foot cream because theses both save my skin and keep it well moisturised. A little later I will use a Facemask! 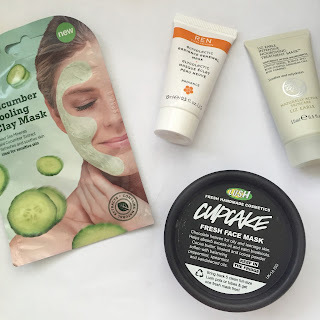 I'll either use a packet one from Superdrug which I love since there so good for your skin and only 99p or my trusty lush cupcake mask which is amazing! It always clears my skin and leaves it looking and feeling amazing! I always gather mini face masks so I may try them too . After a facemask, I always finish off my skincare and moisturise my skin because my skin gets really dry when it gets warmer. Once all this is done I will re-do what I did earlier by getting snacks for my bed and either watch some more youtube, write some blog posts or read my book before I go to bed! (Realistically stay on my phone for another 2 hours then sleep). So I hope you guys enjoy my pamper routine! I loved sharing what I love doing! This makes me wanna do a pamper night!